Bench Power Supply Cabinet by Fabio Lutz « Adafruit Industries – Makers, hackers, artists, designers and engineers! 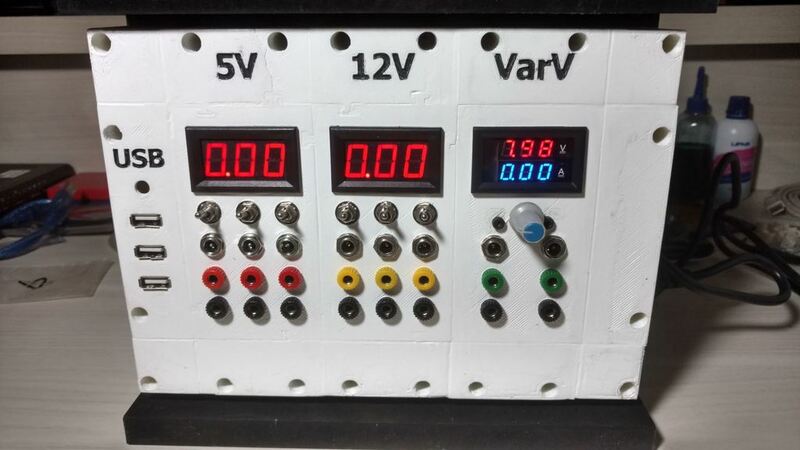 This is the project for my bench power supply (based on an AT power supply). I provided both the .stl (as I printed for by bench) and the .scad files, so you can customize it for your own needs. Obs: The file BenchModel.stl is not meant to be printed, but just to give an idea of the whole object after all part attached. However, if you have a big printer, be my guest, go on and print it.